Lewis Lapham on the 2016 presidential election. It’s been three weeks since the election, and in the mirrored halls of the news and social media the contributors of uplifting opinion have been telling themselves that no matter what else might be said about the campaigns and the vote, it was a great day for democracy. Rough-and-tumble democracy in the raw, free-range, artisanal, and organic, the will of the people trampling out the vintage of political correctness, emerging from the ash heap of vicious cant, texting yes to the Declaration of Independence, no to an uncivil transfer of power. Cue the music, roll the camera and the flag. The people have spoken. Our democracy lives. Government of the people, by the people, and for the people is not perished from the earth. Which might have been the case had Bernie Sanders been on the ballot. He wasn’t, and neither was democracy. What was on the ballot was plutocracy, complacently stupefied and transparently corrupt at the top of the Republican and the Democratic ticket. Two gold-plated names on the same boardroom door, both candidates representative of and privileged by a government of the rich, by the rich, and for the rich that for the last thirty years has been arranging the country’s political and socioeconomic affairs. The election campaign was the struggle for control of corporate management, Hillary Clinton seeking to fend off a hostile takeover by Donald Trump, the lady and the lout both standing foursquare and true blue for the freedom of money, steadfast and vigilant against the freedoms of movement and thought. Clinton lost the election because she tried to pretend what she was not—a caring friend of all the people, ardent believer in the rule of law. She could talk the prerecorded talk, but she couldn’t walk the walk, her prior record, like her every move and gesture, showing her to be in it for herself, deserving of the deference owed to the Queen of England, the jack of diamonds, and the ace of spades. Trump won the election because he didn’t try to sell the Gettysburg Address. 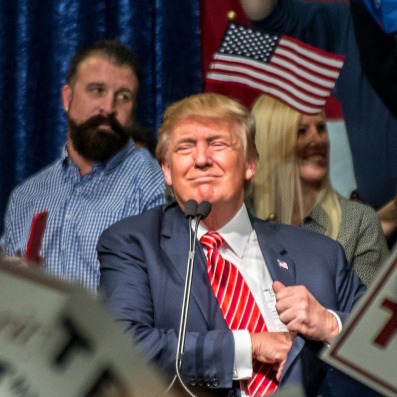 Upfront and fascist in his scorn for the democratic idea, he declared his candidacy on June 16, 2015, adeus ex machina descending by escalator into the atrium of Trump Tower on Manhattan’s Fifth Avenue, there to say, and say it plainly, democracy is for losers. Money, ladies and gentlemen, is power, and power, my friends, is not self-sacrificing or democratic. Never was and never will be; law unto itself, and the only one that counts. Name of the game, nature of the beast. The mogul could afford the luxury of truth because he was really, really rich, unbought and unbossed, so selfishly and fearlessly rich he was free to do and say whatever it came into his head to do and say, whatever it took to root out the cowardly incompetence in Washington, clean up the mess in the Middle East, plant well-paying jobs in the American heartland. His was the greatest brand on earth come to make America once again the greatest show on earth, revive it with the sweet smell of his signature men’s colognes, Empire and Success. We must make our choice. We may have democracy, or we may have wealth concentrated in the hands of a few, but we can’t have both. In the world according to Trump, as it was in the worlds according to Alexander Hamilton and Ronald Reagan, democracy is a tip on a dead horse. An idea as far past its sell-by date as FDR’s straw hat, not up to the task of keeping America safe or running the trains on time. Too long-winded and slow, soft in the head and weak in the knees, no match for the barbarians (Mexican and African, radical Islamist and leftist academic) at the gates of Westchester County and Palm Beach. Not the exact words in Trump’s self-glorifying mouth, but the gist of the commandment he brought down from his Mount Sinai penthouse suite in June 2015, the one that for the next eighteen months he tweeted to phone and shouted to camera in red states and blue, pandering to the popular resentment and loathing of the Washington politicians and Wall Street masters of the universe who for two generations have been playing ordinary Americans for suckers. Trump never tired of trash-talking the system of which he was a proud and ornamental figurehead, and the fans on fairgrounds in Kentucky and Ohio screamed and stamped in agreement because what he was saying they knew to be true—not as precept from a high-minded think tank but from their own downwardly mobile experience. Up close and personal they had suffered the consequences of the plutocracy’s ongoing and bipartisan slum-clearance project—class warfare waged by the increasingly frightened rich against the increasingly debt-burdened, disenfranchised, and angry poor, the bulk of the nation’s wealth (actual and virtual, animal, mineral, vegetable, and intellectual) amassed by 10 percent of its population, more laws restraining the freedom of persons, fewer laws limiting the license of property, the systematic juggling of the public light and land and air into the private purse, a national security apparatus herding sheep into the shelters of heavy law enforcement and harmless speech, every occupant of the White House from Reagan to Obama pleased to hold himself above the law, both houses of Congress reduced to impotent paralysis, a political discourse made by a news media presenting presidential candidates as game-show contestants mounted on selfie sticks and played for jokes until brought to judgment on election night before the throne of cameras by whom and for whom they are produced. The camera doesn’t do democracy; democracy is the holding of one’s fellow citizens in respectful regard, not because they are beautiful or rich or famous but because they are one’s fellow citizens and therefore worth the knowing what they say and do. The work is tedious and slow; too many words with too little action doesn’t sell tickets. What sells tickets is celebrity, and because the camera sees but doesn’t think, it makes no meaningful or moral distinction between a bubble bath in Las Vegas staffed by pretty girls and a bloodbath in Palmyra staffed by headless corpses. The return on investment in both scene settings is the bankable flow of emotion drawn from the bottomless wells of human wish, dream, ignorance, and fear. It didn’t matter what Trump said or didn’t say, whether he was cute and pink or headless. The journalists on the road with the mogul’s traveling circus weren’t covering a play of ideas; like flies to death and honey, they were drawn to the sweet decaying smell of overripe celebrity, enchanted, as is their custom, by the romance of crime. Blind to homespun shoes on common ground, the camera gazes adoringly at leather boots on horseback. So does the America moviegoing public. Always a sight for sore eyes, the boots on horseback. They ride into town with the lonesome-pine hero in the trail-weary saddle, knight errant, deadly and just, up against the odds and the system, come to remove the corrupt sheriff and redeem the God-fearing settlers, clean up the mess in the Middle West saloon, set the crooked straight, distribute moral fabric, civic virtue, and a fair share of the loot to the storekeep, the shepherd, and the schoolteacher. Trump pitched his campaign on the storyline the moviegoing electorate likes a lot better than the one about Honest Abe Lincoln. The networks, the cable channels, and the self-adoring social media hoisted him up there in lights with robber barons Vanderbilt and Rockefeller, gunslingers Eastwood and Stallone, mafia dons Corleone and Soprano. 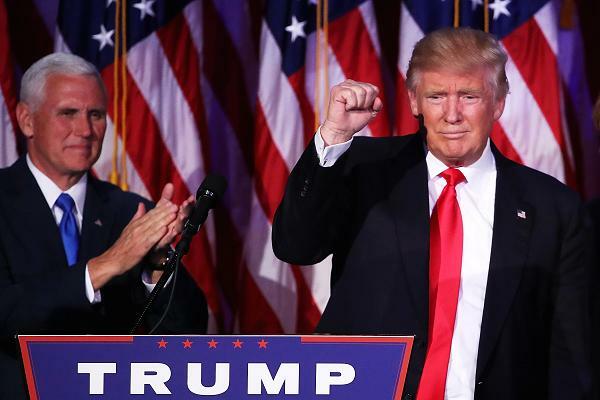 November 8, 2016, may become a night to remember, but it wasn’t a great day for democracy. Lewis H. Lapham is the founding Editor of Lapham’s Quarterly and the Editor Emeritus of Harper’s. 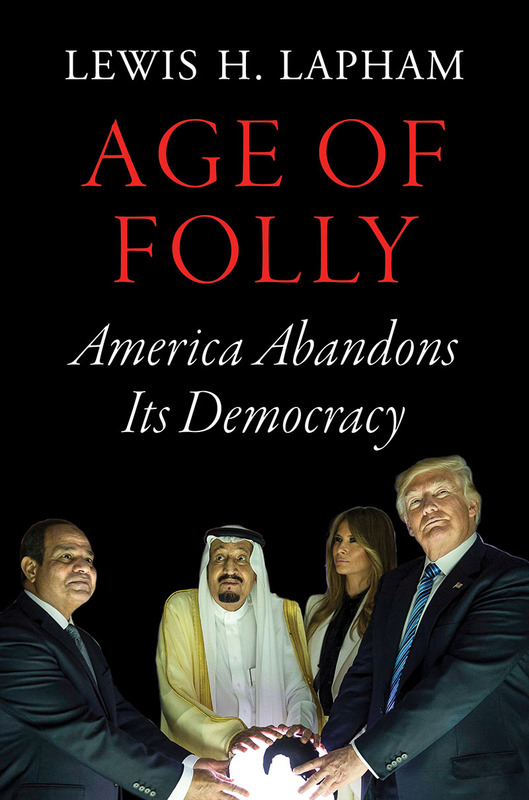 He is the author of Age of Folly: America Abandons its Democracy. This post originally appeared on Lapham's Quarterly.